Mr. Phuc is a Board Member and partner in Relam Investment he is also the Chairman and CEO of MIG HOLDINGS, a Finance Investment Company, specializing in some industries like Finance, Trading, IT, Real estate and Start-up Project. Having the passion for information technology, solid experiences in and leading management, and entrepreneurship’s talent, Mr. Phuc co-found PPP Investment & Trading Joint Stock Company and NIB Investment & Technology Development Joint Stock Company. Mr. Phuc manages corporate direction and strategy for all companies, facilitating company activity in consulting, sales, marketing, alliances and channels, and support. Prior to establishing as MIG Holdings, Mr. Phuc worked at Samsung Vina Company as Quality Assurance Manager and Business Development Manager at Vietnam Enterprise Institute and Business Leader at Mobiphone. 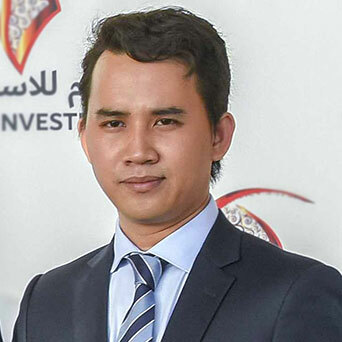 Mr. Phuc also serves as Board Member of STI Law Firm in Ho Chi Minh City, CEO, and co-founder of NIB Investment & Technology Development JSC and PPP Investment & Trading Joint Stock Company .Mr. Phuc has Bachelor of Economic at HCM University.